We are a company built on reputation and recommendation with references available from many businesses and home users. We are extremely committed to providing the very best advice and service in every situation. 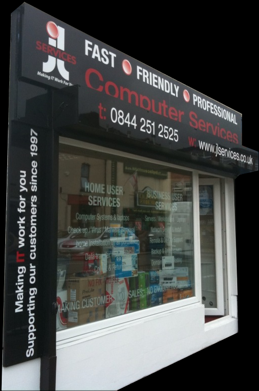 We specialise in catering for the exact computer needs of small to medium sized companies and home users alike, Whatever the requirement we take a friendly and highly professional approach ensuring complete satisfaction to all of our customers. As a company we only use industry leading manufactures for all of our hardware, Manufactures we have used for over a decade and have built strong relationships, Many of these are recognised in our partnership awards, The end result is a higher quality product to our customers, Using only high quality components, our rigorous testing and our commitment to satisfy allows us to offer our unrivalled warranty. We pride ourselves on producing a complete service, always with a personal approach and extensive attention to every detail. We don't feel the size of the requirement should reflect the amount of effort applied. From a single home user or one person business to a multi-departmental company, we guarantee the highest levels of service and support. No Enquiry to Small , from a mouse to a monitor, a single PC or a multi user server based network, we are your single point of contact for every stage of requirement. For your home we are also the right choice, from the first point of contact you are guaranteed to be well looked after, from our free home installation and configuration to our free data transfer, You can only benefit from our home user services.